Summary from Goodreads: It feels like there’s no ground beneath me, like everything I’ve ever done has been a lie. Like I’m breaking apart, shattering. Who am I? Where do I belong? Jasmine de los Santos has always done what’s expected of her. Pretty and popular, she’s studied hard, made her Filipino immigrant parents proud and is ready to reap the rewards in the form of a full college scholarship. I wasn’t considered an American, I lost sight of who I was. I thought a piece of paper defined me, that I was a different person, lesser. But throughout this entire year, I’ve found out that who I was never changed. I let what the law said about me-that I did, as a human being, was illegal, that I didn’t belong in the place I’d always known as my own home-change my own perception of who I am. Something in Between was a spectacular read. The message it conveyed, and how it portrayed it, is so very important, especially right now as immigration is a huge topic and issue in politics. I don’t know about you, but I’ve always felt very strongly about the issue of undocumented immigrants and I really enjoyed getting to read a book from the perspective of an undocumented immigrant. It opened up my eyes even more. The romance wasn’t the best, hence the four star review, but other than that I just loved this book. Even if you don’t feel strongly about immigration or don’t like YA or contemporary, this is still an absolute must read. I would have loved to have finished this book before the election a few days ago, but at that point I was about a third of the way through. Like I said, you really need to read this book, especially if you’re an American with all that is happening in our politics. So please, go and read this! There’s something about remembering that just isn’t the same as the real thing. No matter how happy it makes you feel. When you remember something, you have to recognize that the moment will never happen again. This book starts with our main character, Jasmine de los Santos, finding out she was honored with a National Scholarship from the government. She can’t wait to tell her parents, but when she does, they have to break the bad news. When they first came to America from the Philippines, they were on temporary work visas, but those visas expired years ago. Jasmine is crushed and will do anything to get her family to stay in America. For her, the United States is her home and is her country. She starts dating Royce Blakely, the son of prominent LA Congressman Blakely, shortly after she finds out and travels to D.C. to meet the president. 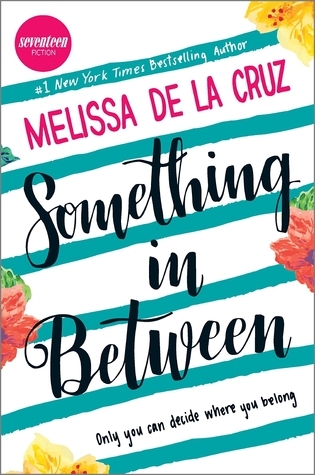 Jasmine has to figure out how her and her family can stay in the U.S., with all her friends and Royce cheering them along, doing whatever they can to help the de los Santos family become legal. I actually really liked Jasmine. I know that quite a lot of people have been put of by her, saying it isn’t realistic to get a scholarship when she doesn’t do much or that she’s too childish, but that never really occured to or bothered me. Of course, she’s not the perfect main character, but I thought she was still a great, interesting person to read from. Jas is the captain of her school’s cheerleading team and spends a lot of her time studying and doing her schoolwork along with volunteering at the hospital her mom worked at. The side characters were all great as well. The fact that they were all there to help Jasmine and her family out just made me so happy. And the family dynamics were AMAZING! I loved how close Jas was with her two younger brothers and parents. 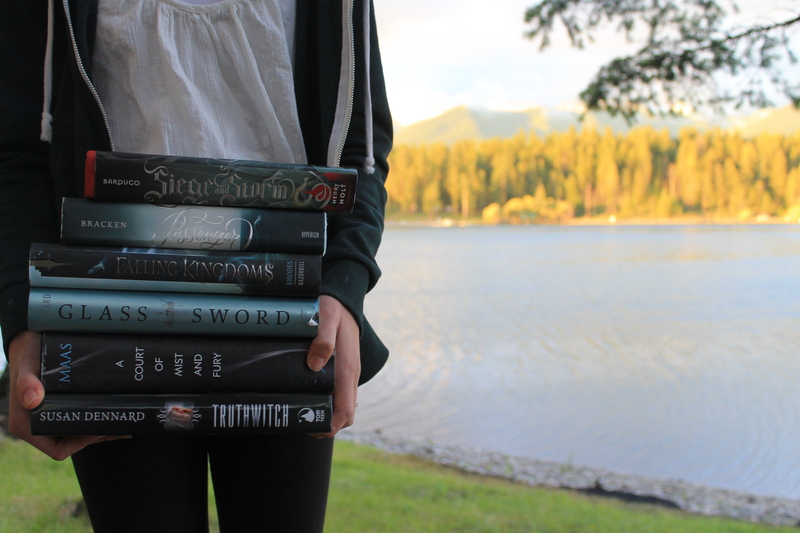 My younger sister and I are super close, so I love finding books with such strong and close family relationships. Now, the family relationship may have been great, but the actual romance between Jasmine and Royce just made me cringe. It was all very insta-love. I get the whole you-see-a-guy-and-think-he’s-hot thing, but wow. The first time they go on a date she’s already thinking how much she loves him. It just felt very unrealistic and forced. I was hoping that with such a great storyline would also come wonderful swoon-worthy romance, but no. It was the opposite. Like I’ve said a million times and will only continue to repeat, the storyline was amazing and so important. Those of us who do not know what it’s like or have never been close to an illegal immigrant like Jasmine, don’t really see exactly what it is like. I feel very strongly about this issue, and this book even opened up my mind more and only continued to influence my opinions on illegal immigration and undocumented immigrants. Because it is portrayed as such a bad thing in politics, I really loved how all of Jasmine and her family’s friends were there for them and understood what they were going through, instead of turning their backs on them (though some characters were a bit rude about the whole thing, but still). 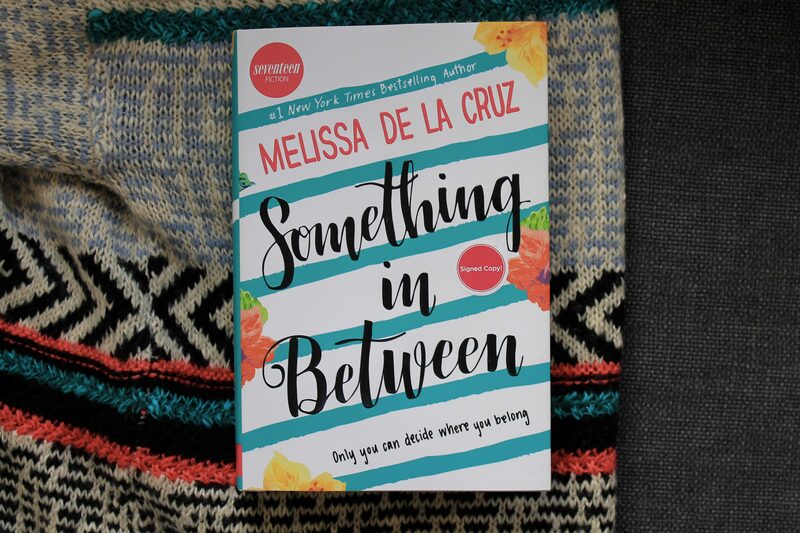 Overall, Something in Between was such a great book. I recommend this to anyone. Sure, the romance was pretty bad, but the actually story was very meaningful, personal, and important. I hope everyone has the chance to read this in the upcoming months/years just to see what it is really like for all the undocumented immigrants in our country.